All the peppers used in the Habanero Pepper Sauces are ripened on the trees under the wonderful Caribbean sun. They are then hand picked and colour sorted. Upon reaching the factory, they are once again sorted to ensure that only the finest peppers make it to the processing chambers. The pepper sauce is made in small batches with fresh ingredients. Within hours of receipt, fresh ingredients are prepped and converted to pepper sauce. We do not bulk buy or refrigerate our peppers. Fresh ingredients are used for every single batch. Our pepper sauces are processed as soon as they are received to give you that great fresh “just out of the garden” flavour. 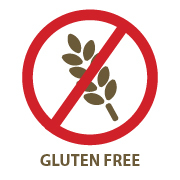 We do not use any artificial colouring, thickening agents, or artificial flavours. We do not use sodium benzoate. Our products are 100% natural! 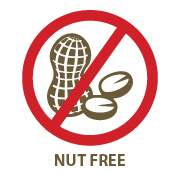 Our products are made in a nut free facility and contains no gluten. *** Provided that they are kept in ambient temperature, the head of the bottles are cleaned after each use, no foreign object/matter is placed in the product and the bottles are closed tight after each use.